sometimes it is hard not to compare ourselves to other photographers; especially the gear they own. photography isn't a cheap hobby/career and being a young photographer can be difficult to save up for that lens or a new camera. lots of us have that thought of, "my photos aren't as good as this photographer, but only if i had the same gear i could be better." constantly comparing and only focusing on gear is not going to make you a better photographer. one thing a lot of photographers are guilty of and is not necessarily helping either is comparing ourselves to others and what they have. everyone is naturally going to do this, but sometimes it can be more destructive than helpful. instead, stay positive and focus on yourself. time could be spent on something more important like shooting! 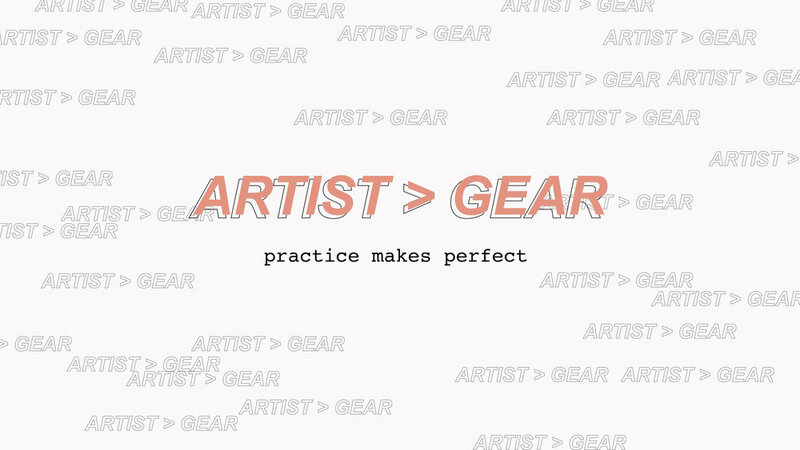 we all start somewhere, but we can all be fantastic artists if we really just practice, practice, and practice some more. photography really isn't about the camera, it's all about what we decide to do with it. spend more time with the camera and be using it as much as possible. set goals to keep you on track. goals like how much more time will you be shooting. shooting a couple times a week would be an awesome goal to set! in the end, doing photography will only make us better photographers. so simple, but true. get out there and try new things! find new angles, edit differently, or shoot with different camera settings. whatever it is it should be different than before. find new ways to create interesting images with what you have. think of it as a challenge; something that will help you develop into a more skilled and wellrdounded artist. artists will always be more important gear. remember to keep a positive mindset and focus on yourself rather than other photographer's gear. get out and shoot more often and do not be afraid to try new things.